As far as 2017 is concerned, this might be the year we remember as the one that saw the entire liter-class field go electric. No, I don’t mean like that. I mean electronic rider aids – every major player in the field has them now. Honda and Suzuki, with their CBR1000RR and GSX-R1000, respectively, had held out on introducing riding aids (beyond differing power modes in the Suzuki’s case) until this year. Meanwhile, the rest of the competition has leap-frogged ahead, introducing highly advanced traction control, wheelie control, launch control, slide control, and all kinds of other controls previously only seen on MotoGP machines. Of course, we wouldn’t even need all this wizardry if these bikes weren’t pumping out close to 200 hp. But in this land of excess we’re glad such motorcycles exist, which is why we’re hard at work putting together Motorcycle.com’s 2017 Literbike Shootout – not only to see how the new Honda and Suzuki stack up against the competition, but also to see how small revisions have affected certain models, and to see how other models that haven’t changed still perform. Not to be outdone by Honda, Suzuki also unveiled a new literbike (two, actually), with its updated GSX-R1000 (and GSX-R1000R, seen here), also incorporating a slew of electronics. Not to mention variable valve timing. For 2017 we’re bringing back much of the same group we featured during our test two years ago. 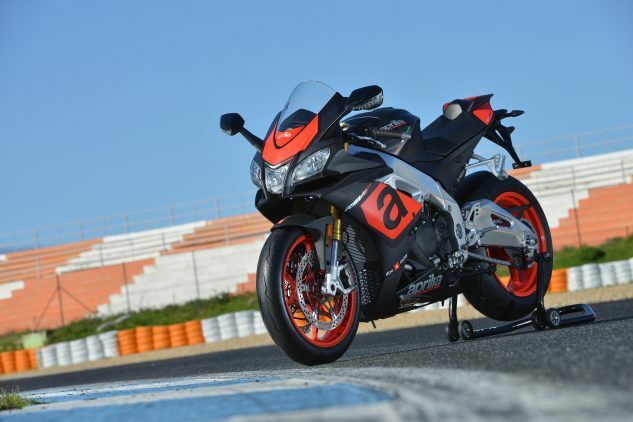 This includes the BMW S1000RR, Yamaha YZF-R1, and Kawasaki ZX-10R, all of which come back largely unchanged. 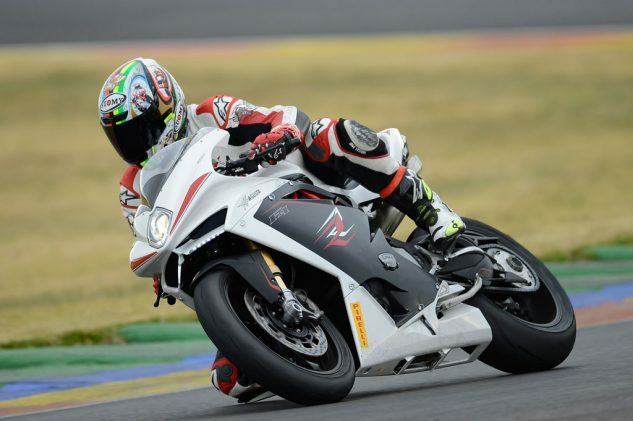 The Aprilia RSV4 RR will also make a return, but with a couple minor revisions for 2017 mostly centered around – you guessed it – electronics. Then we have the updated Honda CBR1000RR and Suzuki GSX-R1000 (single R). To add a little bit of spice to this mix, we’re also throwing in a EBR 1190RX (yes, really! ), and MV Agusta F4 (if we can get one). Where’s the Ducati 1299 Panigale, you ask? Good question. Like our 2015 test, Ducati won’t be providing a 1299 for 2017 (if you’ll remember, a kind reader allowed us to borrow his own personal bike!) though we’re told this is because Ducati has chosen not to include any 1299 Panigales within its press fleet for this year. As such, be warned that Team Ducati won’t be represented in our test, though we’ll include its specs here for comparison purposes. Technologically archaic compared to the others here, the EBR 1190RX is now the closest thing purists have to an analog liter-class sportbike. That ain’t a bad thing, either. At $13,995, some might be surprised to discover the EBR 1190RX is the least expensive of the group. 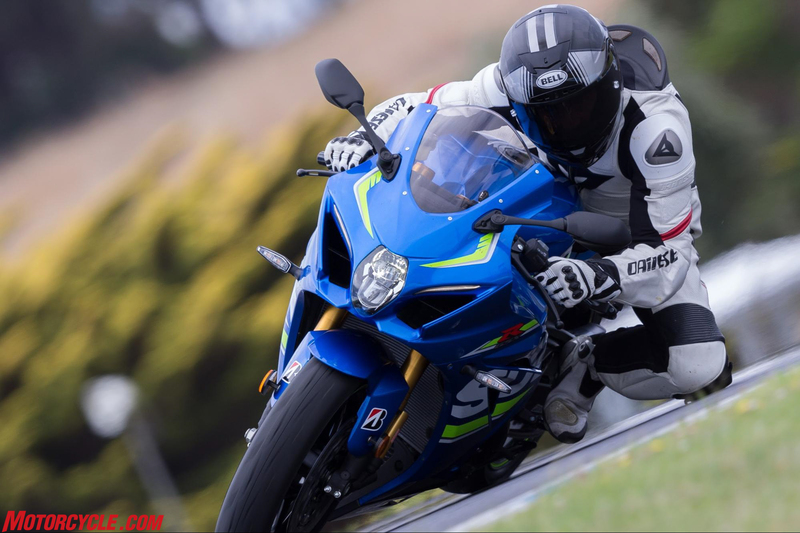 Next come the Japanese contenders, starting with the $14,599 Suzuki GSX-R1000 ($14,999 with ABS), $15,099 Kawasaki ZX-10R ($16,099 with ABS), $16,499 Honda CBR1000RR, and $16,699 Yamaha YZF-R1. The Europeans occupy the upper end of the pay scale, as the $16,999 Aprilia RSV4 RR is followed by the $19,798 MV Agusta F4, and finally, the Ducati 1299 Panigale at $19,995. Where’s the BMW, you ask? With its $15,695 base price, the BMW S1000RR is extremely competitive on price with the Japanese machines, slightly more expensive than the Kawasaki but less so the Honda. However, this price is for the standard bike with no options; good luck actually finding one so equipped – that seems to be a special-order kind of thing. Two years ago, our test S1000RR was nearly $20,000 after adding in all the bells and whistles it came equipped with. There’s no reason to believe BMW won’t be giving us a S1000RR similarly equipped, which would put its as-tested price up there with the most expensive in this group. Aprilia’s RSV4 gets several updates for 2017, including Bosch Cornering ABS, TFT color instrumentation, auto-blipping downshifter, and cruise control. Enough with the price, though. Literbike customers (or potential customers) know this decision will make a hole in their wallet. What it comes down to is whether the model they’re looking at packs the goods. Since we’re looking at the base models of all these machines (or the mid-level model in the Yamaha’s case), none come equipped with electronic suspension. That’s an option saved for the higher-tiered versions of most of the models here. But that’s not to say the analog components aren’t up to the task. They absolutely are. That said, when it comes to liter-class sportbikes, perhaps the number more important than price is power. This is where things get really impressive. 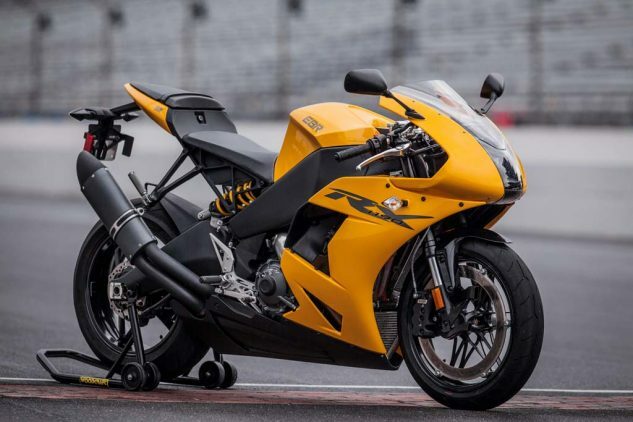 With only 156 horses to the wheel, when measuring its 1190SX naked bike cousin on the MotoGP Werks dyno (the two share the same engine), the EBR would theoretically bring up the rear of this group. Granted, 156 hp is nothing to sneeze at, but it pales in comparison to some of its competitors. BMW’s S1000RR packs a monster of an engine, the only one in our test two years ago to break 180 horsepower to the wheel. Will any other players in the field be able to match it? In 2015, we saw 175 horses or more at the rear wheel in the Aprilia (175.8), BMW (182.9), and Ducati (175.0), with the Japanese bikes being a bit more conservative in the 160s. While we don’t have the new Fireblade or Gixxer 1000 yet to dyno, their manufacturers are claiming 189.1 and 199 crankshaft horsepower, respectively. If we throw in the MV Agusta, with its claimed 195 crankshaft horses, that makes three more models in 2017 surpassing the 175 wheel-horsepower claim, assuming a 10% driveline loss. It’s not everyday we scoff at 72 lb-ft of torque, but in this group, this is the amount the crossplane-crank Yamaha R1 produced two years ago, placing it in last. From there, the torque figures, both claimed (minus 10% loss) and tested vary from the mid to upper 70s, to the low 80s. However, by virtue of being a big, booming V-Twin with more displacement than the rest, the 1299 Panigale brings home the torque crown – the 1285cc Ducati putting down a whopping 92.5 lb-ft when we last had it on the dyno. It goes without saying, even 72 lb-ft of torque and 180-odd horses are more than enough to spin rear tires and cause a good day to go bad in a hurry. Taming this power not only leads to safer rides, but potentially faster laps – at least for mere mortals like us. So let’s take a look at how the different OEMs choose to do so. 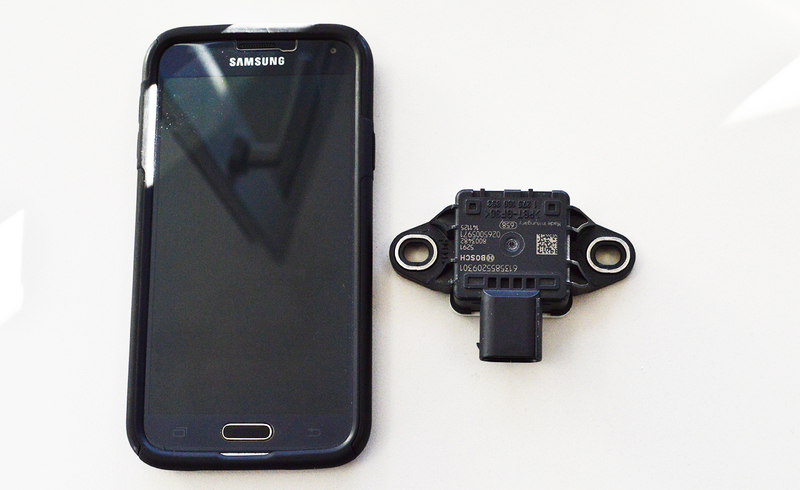 An IMU is a powerful tool for keeping a motorcycle under control. It’s also extremely small – Samsung Galaxy S5 seen here for reference. For starters, all but the EBR come with ABS. Some have it as an option, while others go even further and incorporate cornering ABS into its set of algorithms. How so? Through an inertial measurement unit, better known as an IMU (again, used on all the bikes except the EBR and MV Agusta). The IMU reads the motorcycle’s movements in either five or six axis several times per second to best understand the bike’s trajectory. It’s this technology (and wheel-speed sensors) that nearly every bike here relies on for its traction-control systems. Should the rider make the bike go out of line with the predetermined traction-control values, the IMU will likely detect it before the rider does, setting off a chain of commands to get things in order. But this mostly applies when the settings are pointed in the most restrictive of the range. Turning down the dial and giving more freedom back to the rider allows for better lap times, but at the cost of the rider’s safety net. Here, the IMU will allow for greater slip before telling the ECU to go into action – so much so that it’s entirely possible for someone to highside with gratuitous throttle application while leaned over. The 2013 MV Agusta F4 RR is seen here, but it isn’t a far cry from a 2017 model. It’s a work of art, yes, but technologically, it and the EBR are outclassed by the bikes in the class. Since five of the seven bikes here already have an IMU, other functions it can control are wheelies, launches, and rear-wheel lift mitigation. The first two control power under acceleration, while the latter is an attempt to control braking power to keep the rear wheel down. 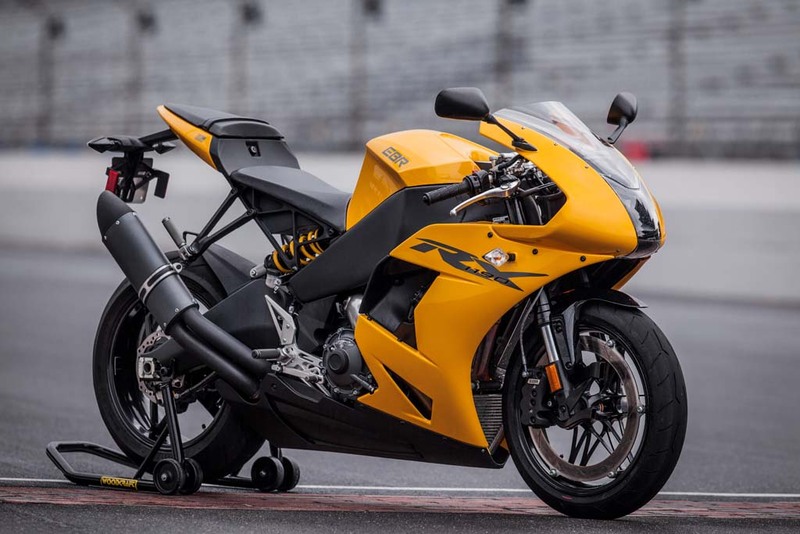 As for the EBR and MV, these models still rely on either wheel or crankshaft sensors to calculate rate-of-change between wheel or engine speed and the amount of throttle applied. These methods react to the slip, whereas the IMU-equipped bikes try and predict slip and react accordingly. Each manufacturer has their own set of algorithms set into the ECUs, based on what they think is the best way to deal with the power and what the rider is trying to do with it. Our job, then, is to attempt to determine which one does it best, while also seeing which one can lay down the quickest lap time. In the two years since we last did this test, nearly every major manufacturer of sportbikes has adopted the IMU and how best to utilize it. 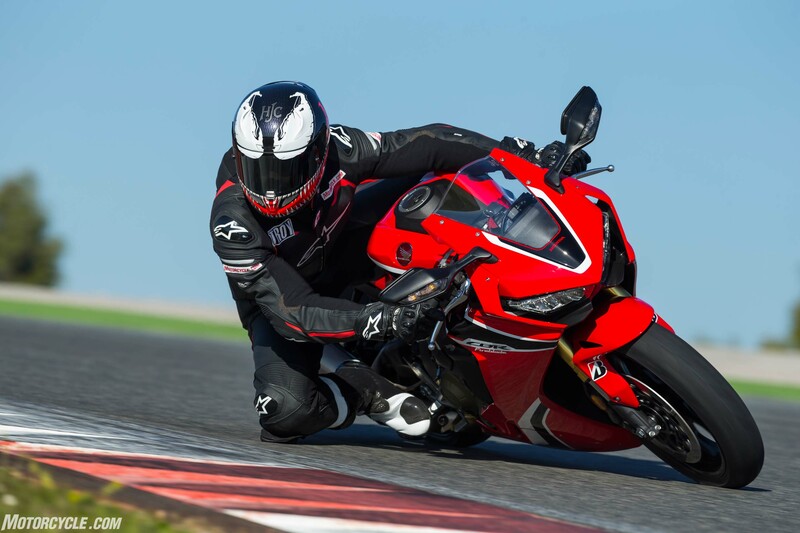 A lot has changed in the sportbike world since 2015, and while we’re under no illusions it’ll be easy to evaluate each system, there’s no doubt we’re excited to get started! 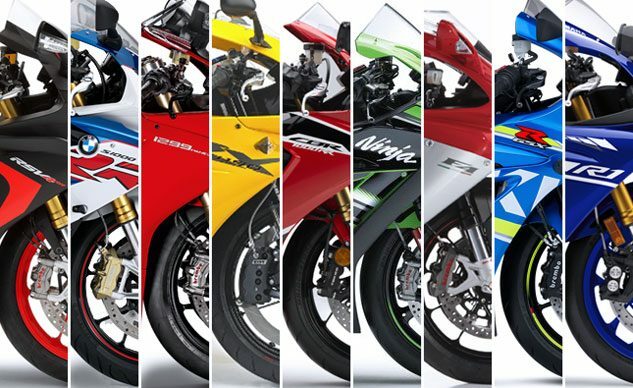 Hover over the image below to see the complete spec chart for each bike. Rake/Trail 26.5 deg/4.1 in 23.5 deg / 3.9 in. 24.0 deg / 3.8 in. 22.4 deg / 3.8 in. 23.3 deg / 3.8 in. 25 deg / 4.2 in. TK / 3.9 in. 23.2 deg. / 3.7 in. 24 deg / 4.0 in. Wheelbase 56.5 in. 56.6 in. 56.6 in. 55.5 in. 55.3 in. 56.7 in. 56.3 in. 55.5 in. 55.3 in. Seat Height 33.0 in. 32.7 in. 32.7 in. 32.5 in. 32.8 in. 32.9 in. 32.7 in. 32.5 in. 33.7 in. Curb Weight 450 lbs. (claimed) 420 lbs. (claimed) 427 lbs. 450.5 lbs. (calculated) 425 lbs. (Euro-spec) 454.2 lbs. 421.1 lbs (claimed dry weight) 443.0 lbs, 445.0 lbs(CA, both claimed weights) 438 lbs. Fuel Capacity 4.9 gal. 4.5 gal. 4.5 gal. 4.5 gal. 4.2 gal. 4.5 gal. 4.5 gal. 4.2 gal. 4.5 gal.